Ok, so Spring time is around the corner and we're talking about maintenance. Maintenance is something we should do for everything we own, and the older I get the more I think about maintenance BEFORE I purchase a product. 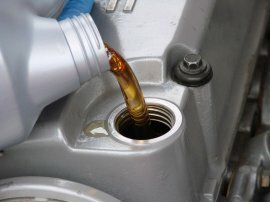 The more expensive the car, for example, the more likely we're going to want the best oil to maintain it. We all know what happens when we fail to keep fresh, or enough oil in an engine. 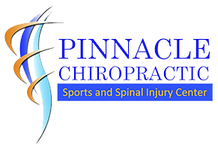 Chiropractors have long held that regular monthly follow up treatments even after you have reached maximum improvement are just as helpful for the spine, as are those regular oil changes you provide to your car. Yet there are at least three important questions we should consider including: a) how do we know whether chiropractic maintenance care really prevents back pain from recurring, b) can it help our overall health and well being, and, c) is it really necessary to come to the office once per month for the rest of my life? In a recent study reported in the Journal of Manipulative and Physiological Therapeutics, after intensive care for one month, 30 chronic back pain patients were randomized to receive either no follow-up care, or maintenance chiropractic adjustments at 3-week intervals for a 9-month period. Both groups continued to have significant improvement in their pain scores throughout the follow-up period. However, while initially both groups had improvement in back disability scores, only the group receiving adjustments during the follow-up period maintained their improvement in disability 9 months later. 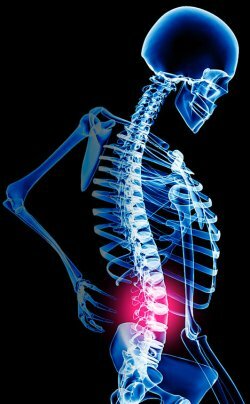 Perhaps more stunning, in one study of more than 700 patients, the British Medical Journal reported that patients with chronic and severe pain had significantly more relief even three years after they were randomized to chiropractic as opposed to outpatient physical therapy for just 30 days, although without follow-up over time some of the gains were lost. Research is underway to clarify these findings, which support what we observe in our practice, that when patients quit their maintenance care they notice their pain and stiffness more often. Ok, so what about the other stuff, can maintenance adjustments really help our overall health and well-being? Generally speaking, we need more research before we'll know for sure, but we do have some clues as to the answer of this question. For example, randomized short-term trials have compared chiropractic with massage or placebo for everything from menstrual cramps to muscle spasm, and from hypertension to headache, with positive and significant results for patients receiving adjustments. In case studies, patients report improvement in both mental and physical well being when they continue maintenance care. Also, other chiropractic services, such as advice regarding diet, exercise, posture, and stress management, might have a more meaningful impact on overall health and well-being when continued during follow-up visits. Another way to look at the question of the overall effectiveness of chiropractic maintenance care is to consider research of clinical and cost utilization. In the Journal of Manipulative and Physiological Therapeutics it was reported that based on 70,274 member months over a 7-year period in a single Health Maintenance Organization, patients with chiropractor gatekeepers had a 60.2% reduction in hospital admissions, 59.0% decrease in hospital days, 62.0% drop in outpatient surgeries and procedures, and an 85% decrease in pharmaceutical costs when compared with conventional medical gatekeepers within the same geography and during the same time frame. Finally, do patients have to keep coming monthly for the rest of their lives to get best results? We really don't know for sure, but most chiropractic physicians look at their patients as individuals that respond differently to treatment approaches. Hence, there may be some especially older individuals with significant arthritis that get best results when receiving adjustments more often than monthly. On the other hand a younger individual that is fit and has no prior history of problems may be able to return every two or three months for a "tune-up" and still get great results. Still another individual may get great results for awhile then get under a lot of stress, quit their exercise, see their problems worsen, and have a need for increasing the frequency of their follow-up care. No two patients are exactly alike. However, for a lot of patients that have a prior history of significant spinal problems, monthly adjustments seem to provide sustained relief and help prevent recurrence.